PIA has declared that the owner of Samsung Galaxy Note 7 handset not to bring their device during travelling in the planes. 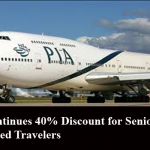 Pakistan International Airlines (PIA) has taken this decision by keeping in view the decisions of lots of airlines, which barred the use of Samsung latest devices during travelling. The reason behind banning the Samsung Galaxy devices in the planes is the explosion of the battery of the handset, which causes instant combusting of the smartphone. Recently, Federal Aviation Administration (FAA) also barred the consumers of Samsung Galaxy Note 7 to carry their device during travelling, as the 35 incidents of device instant combusting reported in different countries of the world. Samsung, Korean Mobile Manufacturing Company, has stopped the sale of the latest flagship devices and announced the free of charge exchange of the device. The company said that this fault is due to the rare manufacturing error that leads to overheating the battery of the device and finally combusting. The other airlines including United Arab Emirates, Etihad Airways, Singapore Airlines, Australia´s Qantas, and Virgin Australia have announced the temporarily ban on the use of the Galaxy Note 7 smartphones on board its flights.